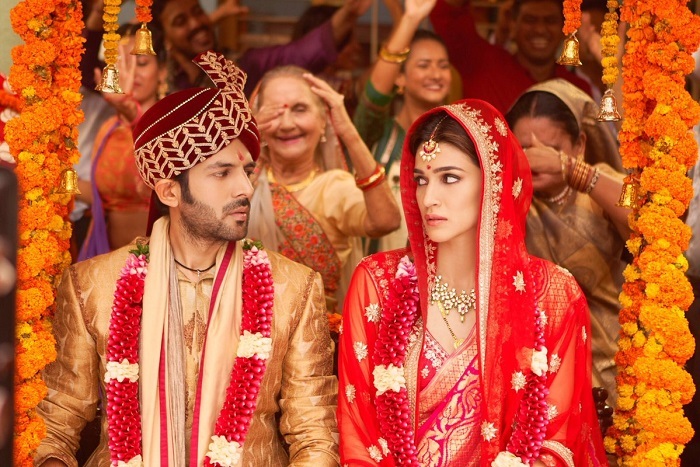 Luka Chuppi holds well on 4th Friday, set to cross 90 crore now! Luka Chuppi has hold pretty well on 4th Friday (day 22) despite facing big release in Kesari and reduced screens. Film is now truly chasing 90 crore nett mark and should cross this landmark inside week four. Luka Chuppi has added an approx 60 lakh nett on day 22. Film total now stands at approx 87.45 crore nett. Film fourth weekend collection is aiming for 2.5 crore nett mark. Fourth week business should be in the region of 3.5 crore mark. Luka Chuppi lifetime business is heading towards 92-93 crore nett in India. Film is a Super HIT at box office. It is a highly profitable venture for all associated with it.